Fun Book Series for Speech and Language Development! This spring I was introduced to an adorable book series by a co-worker. 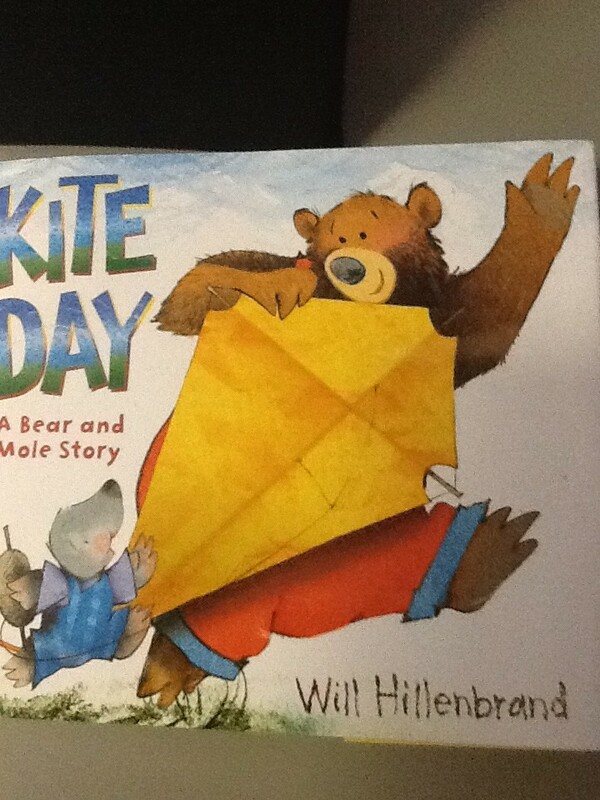 Will Hillenbrand’s Bear and Mole stories are the perfect go-to book for literacy or speech activities. They were written for 4-6 year olds but I use them with older students, ages 7-9, who have Autism and/or language delays. They can be used with a wide range of abilities, from typical kiddos to more language impaired, kids love using these books for the colorful illustrations and fun stories. The pages are simple, with only a few words on them so they are great for early readers or children who have trouble with language. 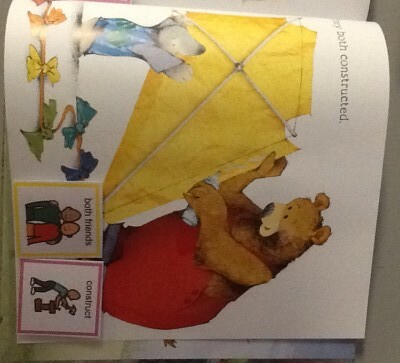 The series is made up of three books so far and features two main characters, Bear and Mole. These two friends face adventures in Kite Day, Off We Go, and Spring is Here. 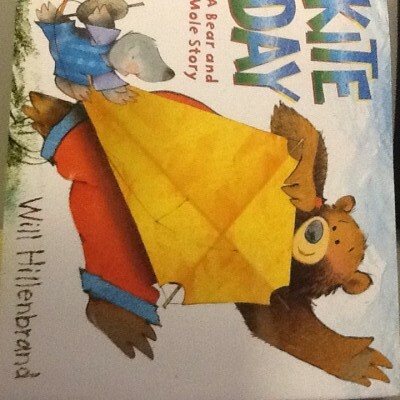 Kite Day tells the tale of two friends building a kite who must problem solve when faced with a thunderstorm. In Off We Go, Bear helps Mole prepare for riding a bike without training wheels, a milestone that many kids can relate to. Lastly, Spring is Here has wonderful descriptions of spring as Mole tries to wake Bear up from hibernation. The following ideas are starting points to help plan fun speech sessions using these books. Whenever I read stories I like to have props with me. I try to find items from the stories to let my students hold or play with. This helps students with comprehension and makes the activity even more fun. For these stories I would bring in a small toy kite, bike, or trumpet (Mole uses a trumpet to try to wake up Bear in Spring is Here). They don’t have to be actual items, small plastic versions from the dollar store or what you can find in your house work just as good. These stories are rich with vocabulary from weather and nature terms to descriptive words and rich language such as “grimace” and “exhale”. When reading the story stop to talk about what these words mean and brainstorm examples of how to use them in sentences. I’ve seen teachers and SLP’s keep word logs of vocabulary they’ve learned from books. This is a nice way to reflect on what you’ve learned over time. For students who have difficulty using and understanding language, these books are a fun way to practice building simple sentences. To do this, make visuals for each page depicting the sentences in the stories. I use Boardmaker to make the icons and stick them onto the book pages with Velcro so I can remove them as I like. 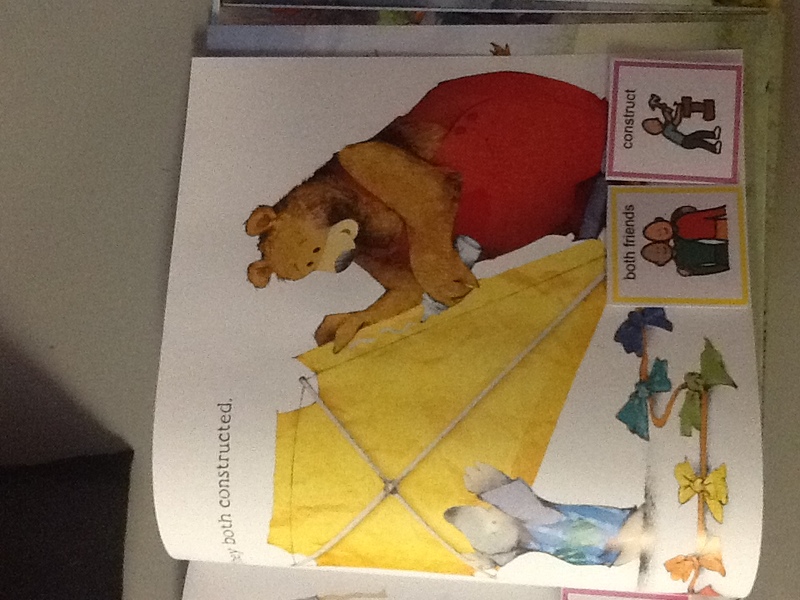 Color coding the visuals according to parts of speech helps students visualize what comes where in a sentence. In the picture on the right you can see that the subjects are outlined in yellow and the verbs are in pink. That way it corresponds to other sentence building activities I do and remains consistent. When we are reading, I model the sentence and then have my student say it if they can. After we say the sentence, we pull the icons onto a sentence strip (which is simply a strip of Velcro attached to something solid like a piece of cardboard). This is a nice activity for nonverbal students as well, because they can use the removable icons to build sentences. These books offer opportunities to work on the skill of predicting. 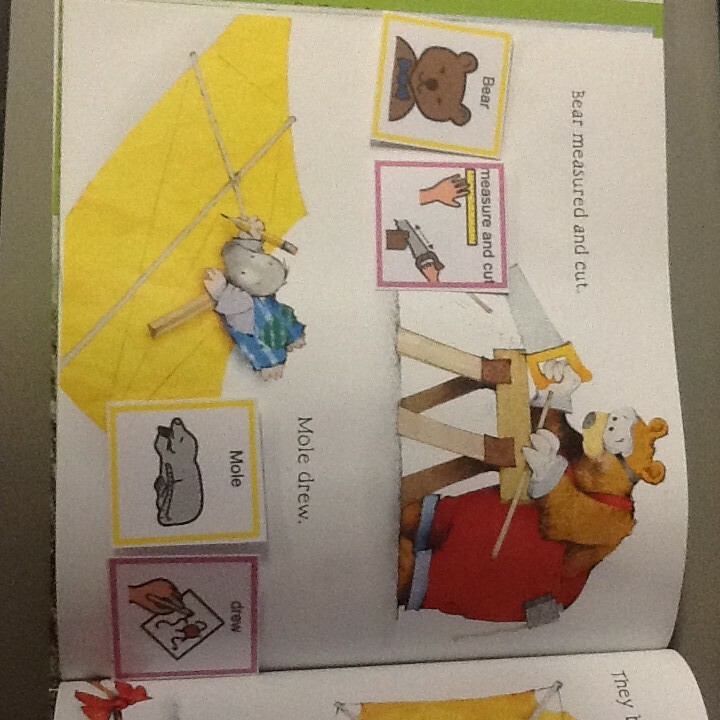 In Spring is Here, the illustrations show clues of how Mole plans to wake Bear up throughout the story. You can ask your students what they think will happen next and if it will work to wake up Bear. In Kite Day, the friends want to fly their kite but storm clouds come rolling in. This is a nice opportunity to have students guess what will happen or what could happen if you fly a kite in a storm. Most stories lend themselves to sequencing activities. With students who need more support I make visuals that depict the story events and ask them to put it in order. With other students you could have the events written out for them to arrange in the correct order. Some students can even fill in a blank worksheet with what happened first, second, next, and last. I like to follow reading with a fun craft activity. There are many different possibilities from these stories such as building or coloring/decorating a kite or spring themed crafts such as coloring or making flowers. I like to use all different materials such as feathers, stickers, glitter glue, and pipe cleaners. For my pals who are more limited in their abilities, I love to use paint daubers so they can fill in a pre-made picture with dobs of color. These work well because they don’t require the fine motor skills of holding a pencil. If you have the ability to take kids outside, there are some nice motor activities that complement the books. I work in a very small classroom so we often go outside for scavenger hunts. This allows us to work on language concepts in a fun way. You could make a list of the spring vocabulary words from the story and try to find them outside. Weather permitting, you could also take some students outside to fly a kite. When you get creative you can find all sorts of fun ways to use these books! If you have a new favorite series to use in speech sessions let us know! Sign up for our mailing list here to stay updated with our latest therapy tips, app announcements, and blog posts. Don’t forget to follow us on Twitter, Pinterest, and like us on Facebook!